I've been visiting a friend for a few days in Telluride, CO and found a couple of spots on the mountain worth mention. 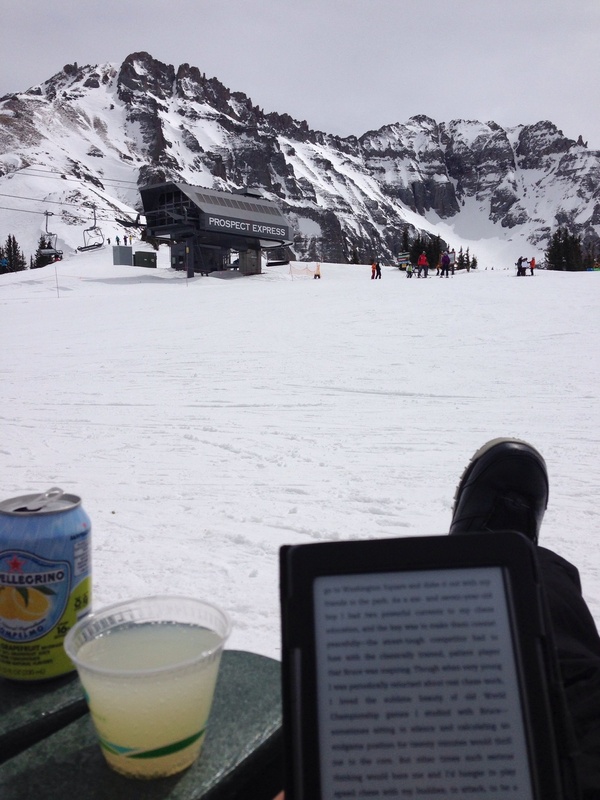 Since the conditions aren't ideal, I've been stopping for drinks and reading at various places. A nice place called the Beach under lift 4. 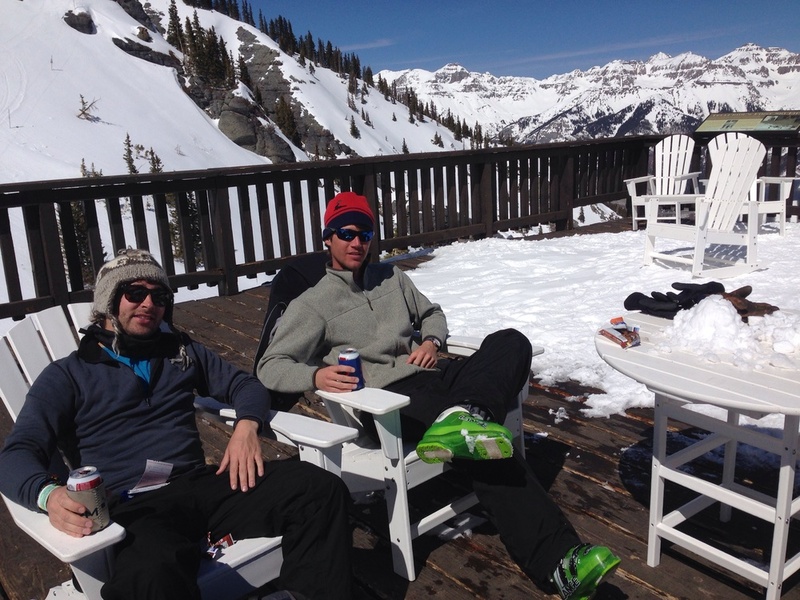 Great for having a drink and relaxing to live music in the afternoon until the ski patrol kicks everyone out. And a chill deck on the backside of the mountain down from lift 15. Hardly anyone around and I hear you can borrow a grill from the lifties if you're lucky.